Hawa Mahal is the most iconic monument of Jaipur and a treat for all the lensmen. Some of the most beautiful frames of Jaipur have been shot here. The five-storey building which stands in the heart of the city and watches over its habitants day and night is one of the most popular monuments of Jaipur. 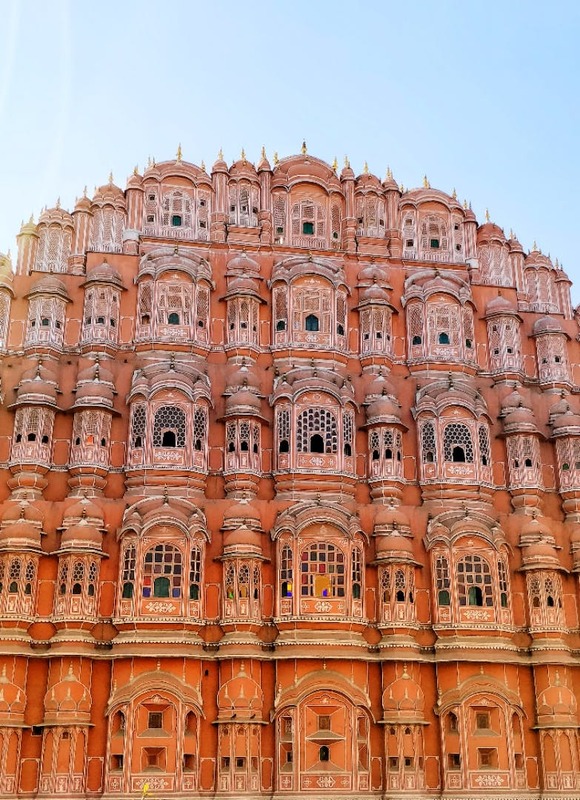 Hawa Mahal, also known as Palace of Winds, was built in 1799 by Sawai Pratap Singh for royal women to watch the daily activities on the streets of Jaipur. A very nominal amount is charged from the tourists who wish to see the monument from the inside. Timings to visit the monument are between 09:00 am and 04:30 pm. Also, the streets here are filled with shops that sell Rajasthani handicrafts which you may want to buy. The streets here are a bit crowded and you might struggle to find a parking spot. Go Shopping At Hawa Mahal In Jaipur!